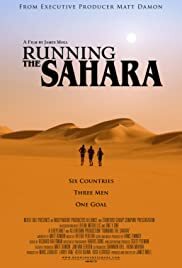 Running The Sahara is a documentary about how three long distance runners manage to take on a near impossible feat:running across the continent of Africa,from the west,to Egypt. Charlie Engle,Kevin Lin & Ray Zahab took the risk,mainly because nobody else had ever done it. We see as the three start their journey in the west,and over a period of 111 days,and thousands of miles,manage to attempt something that has never been done before. James Moll,known mainly for his work as a documentary film maker for television,turns in a fine portrayal of the endurance of the human spirit. Along the way,the hapless three come across many stunning sights in the deserts,encounter a number of desert dwellers (including a seven year old boy who had never seen a white person before),and try & help some of the water issues plaguing some of the areas they come across. As with any undertaking of this sort,at times things are not so rosy (they deal with attitude issues,pain---both physical,as well as emotional,and other things associated with people concentrated together for a period of time). 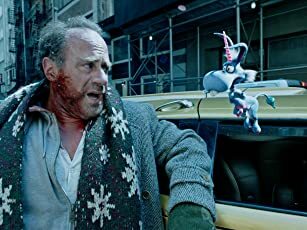 Some crisp cinematography & editing make this a fine film that would be at home either on the theater screen,but would play equally well on the small screen,too. Matt Damon supplies some fine narration for this outing (and was equally instrumental in assisting in the Africa H2O project to bring much needed water to areas in the desert). Spoken mainly in English,but also has some Cantonese & French,with English subtitles. Not rated by the MPAA,but contains some brief strong language.